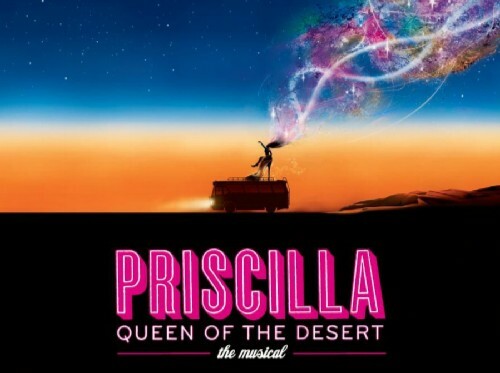 If you're looking for an entertaining night out, Uptown Update gives four stars to Priscilla Queen of the Desert, the premiere production by Pride Films & Plays at its new Uptown location. The run was just extended through March 12th and it's a lot of fun. It's the first show at the Pride Arts Center (formerly Profiles Theatre) at 4139 N Broadway. Tickets are $40 for reserved seats, $30 for general seating, and $10 for students, artists, actors, and seniors. Performances are Thursdays through Sundays, with a few Wednesdays thrown in for good measure. You can read more about it here, and purchase tickets here. Chicago cabaret legend Honey West leads the cast, and she's a delight. 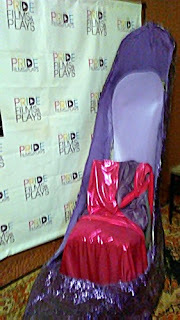 So is the giant purple high heel in the lobby, available for photo opportunities. TimeOut Chicago says, "Priscilla, Queen of the Desert is the perfect way for Pride Films and Plays to christen its brand new, two-stage Pride Arts Center. (It will take a show as fabulous as this one to start washing off the stink that the space’s previous tenants left behind.)" We completely agree. Welcome, Pride Films!